Verywestham: Noble Embroiled in BBB Campaign! As the furore around selections for the West Ham Allstars XI to play in the @noble16mark testimonial unfolds, recent footage suggests that Nobes is desperately in need of help if he is to optimise one of our last opportunities to savour the West Ham Way at Upton Park. As cries gather for one last fond look at a whole host of living legends, our intrepid research team at VERYWESTHAM have stumbled upon terrifying footage of the testimonial recruitment effort! 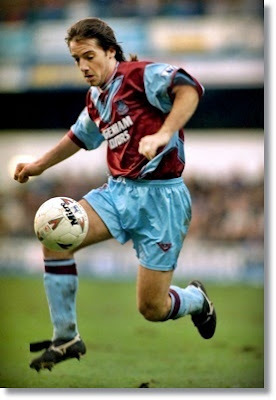 Frantic fans are desperate to direct Nobes towards the 'right' Bishop - the one who entertained the Boleyn brigade during the decade leading up to Mark's arrival in 1988 as a bubbly baby ready to embark upon a career of Hammers dedication that is rare in the modern game. Bish was in the Brooking mould, Applying pin point accuracy to a repertoire of passes that frequently left the faithful breathless. Perhaps not the paciest, Bish made up with a tenacious tackling spirit and was rarely caught out due to his impeccable position sense. 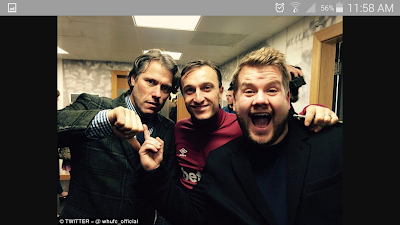 Nobes was recently pictured with comedian John Bishop who is a devout Liveroool fan and, in definite similarities to Benni McCarthy and Marco Boogers, has never actually contributed onfield to the Hammers cause. As such, he most certainly does not qualify as a Hammers legend and would be unwelcome in the Allstar XI! Staying up North, Ernest ' Ernie' Bishop - the unassuming spouse of Emily Bishop in Coronation street also does not meet the qualification criteria - apart from probably supporting Stockport or Macclesfield town, Ernie was the unfortunate victim of a botched armed raid on Mike Baldwin's factory in 1978 during which he was fatally wounded. Sadly, he is therefore unavailable on the day. 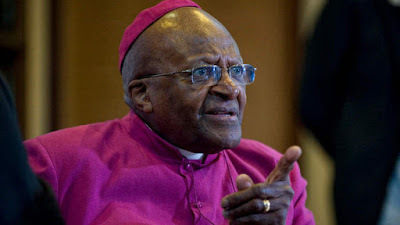 Similarly, despite his keen interest in football, Bishop Desmond Tutu is unlikely to appear as he is reported to have recently tweaked a hammy and, at 189 years of age, the journey from South Africa would likely be too demanding for the versatile playmaker. "Instead of raising your voice...try improving your argument"